I can’t wait for you to try my recipe for keto ice cream cake. 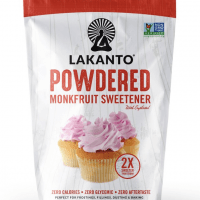 I am confident that it’s one you will make often, especially when you want to make a more festive keto treat. This delicious low carb ice cream cake is grain-free, gluten-free and nut-free. Plus the ice cream layer is also churn-free. What’s not to love? 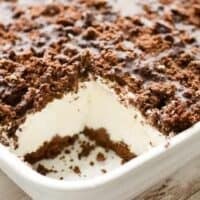 My keto ice cream cake recipe features two layers of my popular Keto Hershey’s Chocolate cake that was baked and then crumbled. And since the ice cream layer is an easy vanilla ice cream, the whole thing comes together quickly. 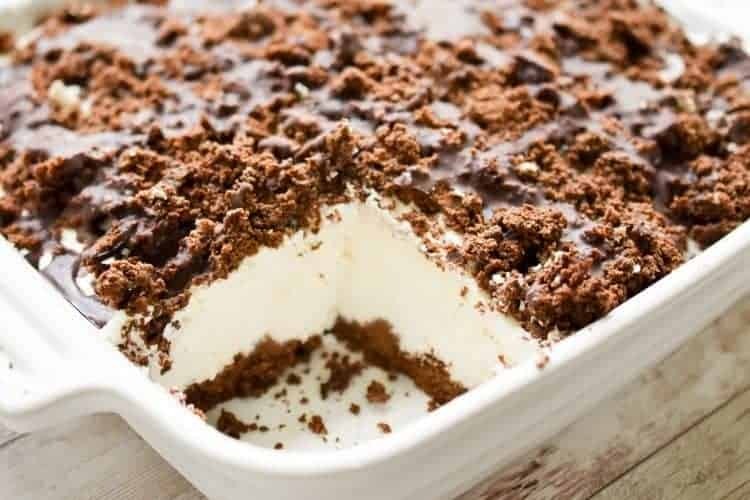 If that’s not all, this keto ice cream cake is drizzled with a chocolate sauce that forms a hard chocolate shell. 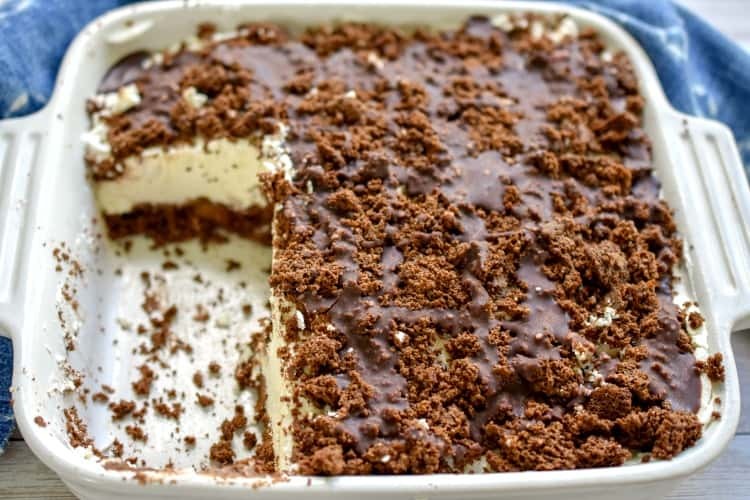 So if you’ve been missing Carvel ice cream cake, this yummy low carb ice cream cake is going to bring a classic dessert back into your life safely. 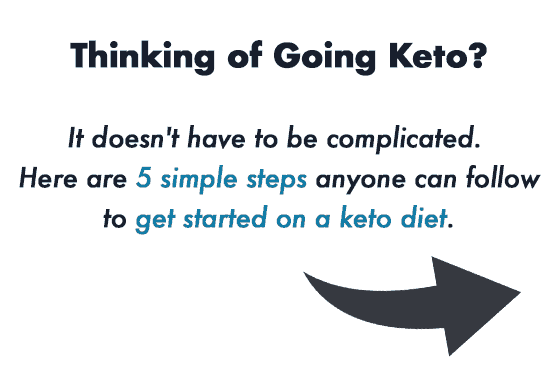 Imagine enjoying a keto-friendly ice cream cake that is not only delicious but it won’t kick you out of ketosis? I encourage you to check out all our keto cakes because you could easily swap out the low carb Hershey’s cake for any of my other cake recipes. See there, I am giving you lots of options. In our home birthdays where always celebrated with my recipe for homemade ice cream cake. Year after year, the one cake my family always requested when their birthday rolled around was ice cream cake. Although that recipe wasn’t hard to put together it required quite a lot of steps. So if this girl was going to make a homemade ice cream cake I always made sure it was a HUGE one. This way my effort could be enjoyed for days. I’m not kidding when I tell you that many days I would have ice cream cake for breakfast. Ugh, for sure my sugar addiction would rear its ugly head during birthdays. All I can say about that is thank you, Jesus, for setting me free! Suffice it to say that, that recipe for homemade ice cream cake was well loved but it had one glaring problem, it was loaded with carbs. And that spelled trouble when the majority of our family changed their diet to a ketogenic one. I remember the first year we went keto how terribly we missed not having an ice cream cake. We all wondered how on earth we would celebrate birthdays without it. Not going to lie, it wasn’t easy for us. Thankfully, we survived and passed that test. 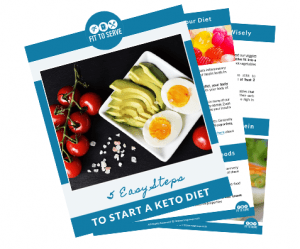 But the time had finally come where I would attempt to create a keto-friendly version. Mainly, because I never want any of my family members to feel deprived simply because we’ve made the ketogenic diet a lifestyle choice. With that in mind, I couldn’t think of a more appropriate time to share this recipe than for our daughter Michelle’s birthday. So when I declared that I was making a keto ice cream cake using my recipe for keto Hershey’s cake the family cheered me on. To make this keto ice cream cake you’ll need a few basic ingredients. Note that the printable recipe card is at the bottom of this post. But you might want to read all my tips to ensure it comes out perfectly every time. Keto Hershey’s Chocolate Cake baked, cooled and crumbled. The first step in making this keto ice cream cake is the baking of the cake. 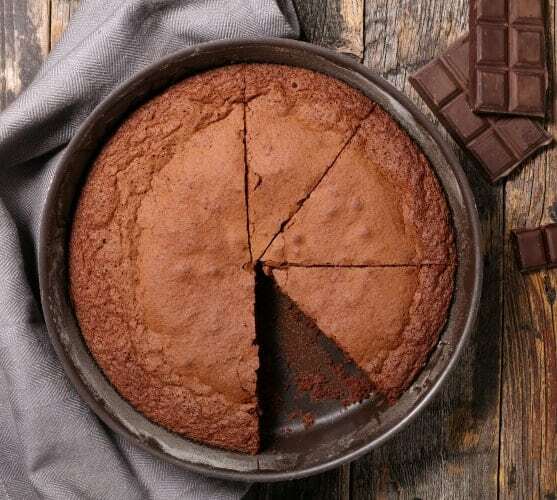 I chose this keto chocolate cake recipe because it’s not only easy to make, but I knew it would compliment the vanilla ice cream layer really well. Once you make and bake the cake you will need to let it cool completely and then crumble the entire cake into crumbs. That recipe makes two 9-inch cakes. And one layer will serve as the crust of the keto ice cream cake and the other will be the topping. The ice cream layer that is sandwiched between the cake crumbs is churn-free and so it’s easy to make. I add cream cheese to my ice cream because it really gives the perfect velvety texture. I used this same technique when I made my keto berries and cream popsicles. And since it worked so well then, I thought it made sense to try it in the keto ice cream layer of this cake. If you’re a regular reader of our blog it should come as no surprise that I love keto cream cheese recipes. Since I’ve dedicated a page to all the recipes that include cream cheese. 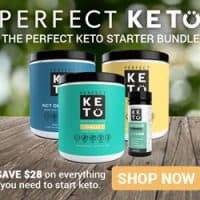 I’ve been making my own keto magic shell for years. It’s super easy to make and doesn’t require any special ingredients. That’s always a win in my book. If you’ve never made a homemade keto-friendly version, you’re in for a real treat. I opted to add a chocolate sauce that hardens to the top of the ice cream cake because it would give it a little bit of contrast and crunch. My recipe uses just three ingredients, coconut oil, confectioner’s sugar substitute, and Hershey’s Special Dark cocoa powder. Ok, so it’s actually four ingredients if you count the dash of salt. But you really can’t compare the nutritional value between my homemade recipe and that of Magic Shell. Sure magic shell is delicious and all but it’s full of all sorts of processed ingredients. Not to mention that it has a whopping 16 grams of carbohydrates for a two tablespoon serving. So yeah there’s that too. Please allow this momma a moment to brag a few minutes about our daughter Michelle. Because after all this keto ice cream was created to celebrate her birthday. Michelle’s name was carefully chosen because in Hebrew it means “Who is like our God?” Which is so fitting since she has been an example of God’s miraculous hand from the moment she was conceived to the praises she declares with the use of each of the many talents God has gifted her with. She gets mentioned quite a bit on my blog because she’s inspired a few great recipes. Go check out Michelle’s Keto Brownies a favorite among our readers to see exactly what I mean. But that’s not all she does on this blog, she also serves as my personal assistant. That just means I couldn’t possibly share my keto recipes without her constant help and encouragement. I sure hope you will give this keto ice cream a try. Once you do, make sure you remember to tag us on Instagram and Facebook. It’s what keeps this girl encouraged to keep sharing and perfecting her recipes. 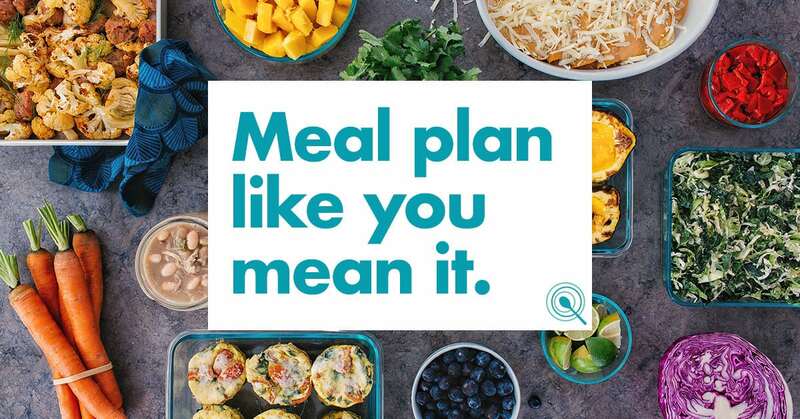 Plus you can even use our Keto Recipes to form to create your weekly meal plans. This delicious Keto Ice Cream Cake is grain-free, gluten-free, nut-free. Plus if that's not enough the ice cream layer is churn-free. Once the cake layers have cooled, crumble the cake and evenly divide the crumbs into two parts. One part will be the bottom layer of the ice cream cake the other will serve as the topping. In a 10 x 10 pan that can be frozen, press half of the cake crumbs into bottom the pan. Next using an electric mixer in a large bowl combine the softened cream cheese, sugar substitute, vanilla extract and sea salt. Mix at high speed, scraping the sides of the bowl a few times. Once that mixture is combined, add the cold heavy whipping cream a little at a time allowing the cream to be fully incorporated into the cream cheese mixture. Then pour the ice cream on top of the bottom layer of cake crumbs. Next spread the remaining cake crumbs directly over the ice cream and gently press the crumbs into the surface of the ice cream. Allow the ice cream cake to chill for at least 4 hours or until frozen solid. Once the ice cream cake is fully chilled drizzle the keto magic shell topping over the cake. The topping will quickly harden and is then ready to be served immediately or stored back in the freezer. Note: This recipe requires baking a full recipe of my Keto Hershey's Chocolate Cake and allowing the cake to cool and then crumbled. 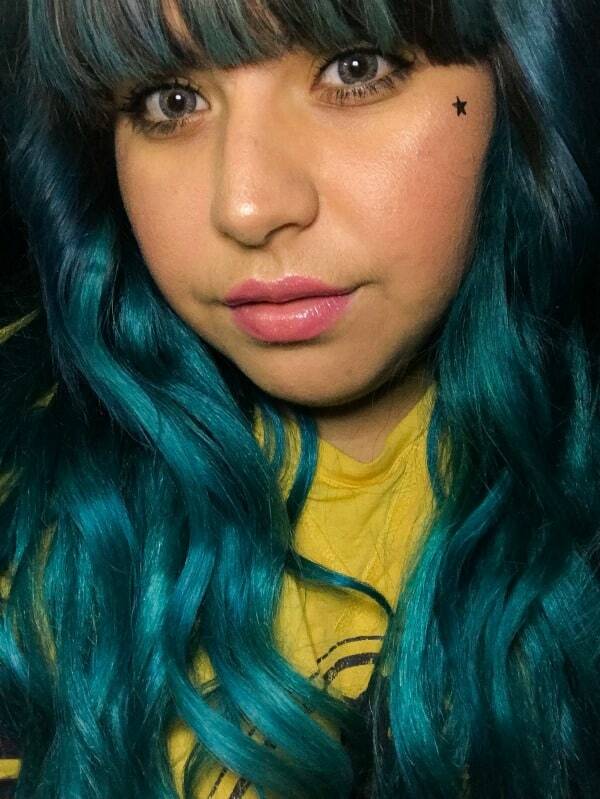 Hi Hilda! Obviously this is on my to-do list this week! Two questions please... What actually keeps this from freezing into a solid block that potentially needs hours to soften up? (A problem I'm having with an ice cream of my own.) Second is an opinion question really... can you picture this paired up with say your almond flour pound cake or a brownie recipe? From taste, sure (YUM! ), but also from the how would it hold up from the freezer-to-table? (Mostly wondering about your personal experience. I do not live in lovely hot, humid Florida.) Excellent FB group, thanks! Just wondering if you spray the pan or use parchment paper to prevent it from freezing to the pan? Hi Terri, I am excited that you are enjoying the blog. 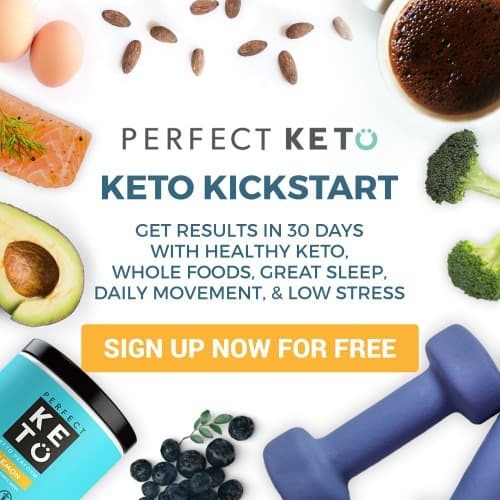 Why don't you scroll to the bottom and click the picture 5 easy steps to doing keto. This way you get the free handout and automatically start following the blog. Hi Susan, glad you enjoyed it.